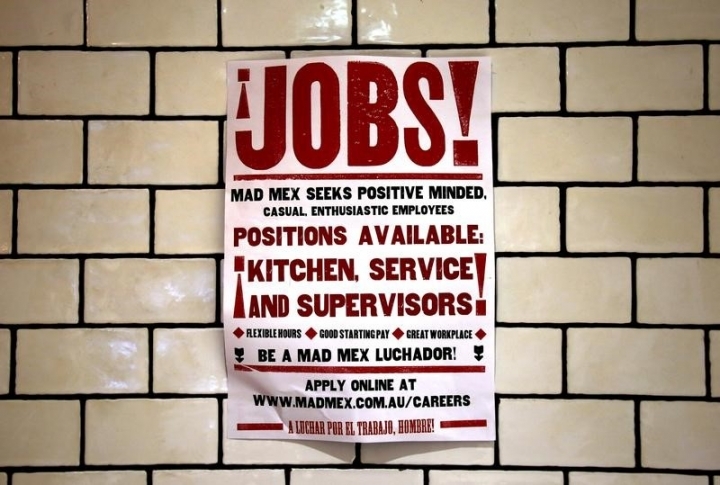 SYDNEY (Reuters) - Australian job advertisements bounced back in January from a fall in December, suggesting that the soft run seen in 2016 may be reversing. A monthly survey by Australia and New Zealand Banking Group showed total job advertisements jumped 4 percent in January from December when they fell 2.2 percent. That saw the annual pace of job ads growth rise to 7.1 percent, from 3.7 percent in December. ANZ no longer provides a breakdown between internet job ads and newspaper spots which take a tiny share of total vacancy ads. "The bounce in ANZ job ads, along with modest increases in other leading indicators, lends support to our view that although momentum in the labor market has slowed, it remains strong enough to underpin a gradual decline in the unemployment rate this year," said ANZ senior economist Felicity Emmett. A measure of Australian business conditions recovered strongly in December, a survey found last month, as firms reported a marked pick up in sales and profits. Figures out last week showed Australia posted a record trade surplus in almost three years in December as surging commodity prices boosted export earnings, and likely economic growth as well. Still, there is considerable slack in Australia's labor market, with the jobless rate at 5.8 percent and employment increasingly skewed toward part-time work.